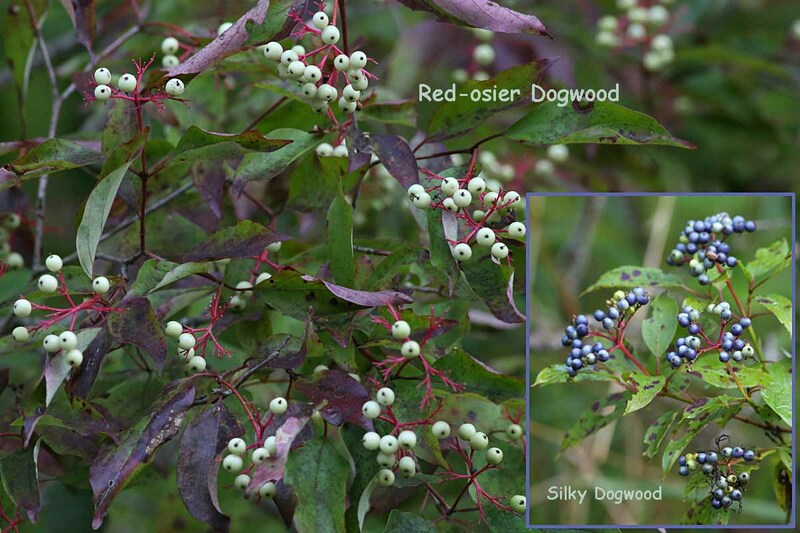 Red-osier dogwood (Cornus sericea), as its name implies, lends color to wetlands year-round, but it really comes into its own at this time of year. 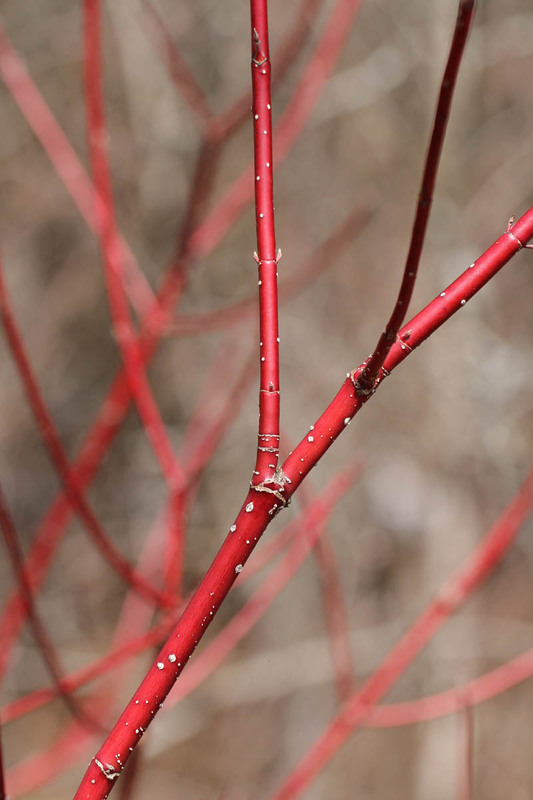 In early spring this shrub is especially noticeable, as its red bark becomes much more vivid due to anthocyanin pigments which are affected by light intensity. Although it can tolerate light shading, the stems and branches in shaded sites tend to be greener. Native Americans utilized every part of this shrub,especially the stems and shoots. Inner bark was used in tobacco mixtures during the sacred pipe ceremony, branches and shoots were made into baskets, dreamcatchers, bows and arrows, and peeled twigs were used as toothbrushes for their whitening effect on teeth.